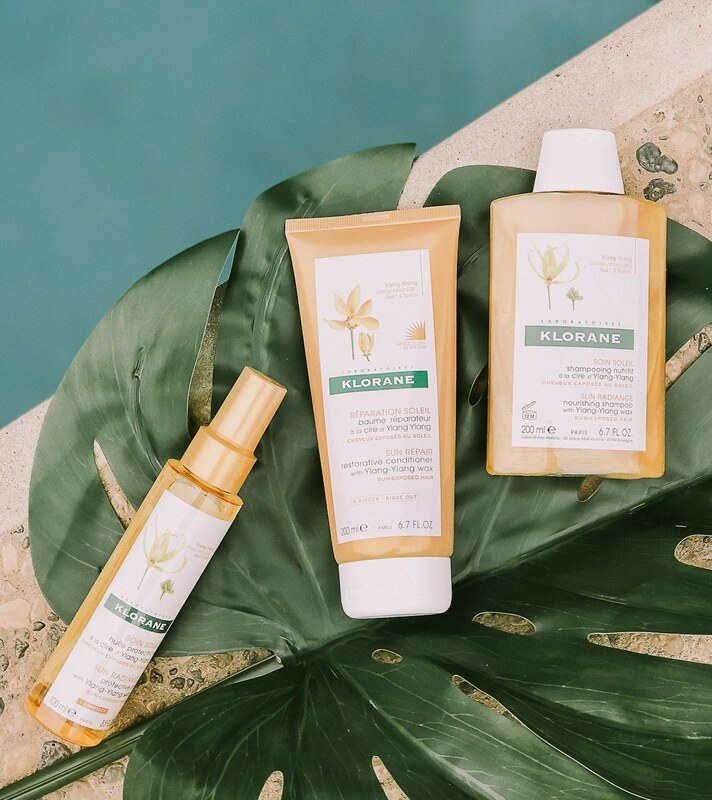 I recently received a full set of hair products for sun exposure from Klorane and I’m super pumped! Their newest hair product line launching in April 2018 is called the Sun Radiance collection and uses the power of the “flower of flowers” to nourish and protect your hair. As someone who LOVES the sun, this is a much needed collection of products. The new Sun Radiance Collection with Ylang-Ylang wax offers three innovative, highly-efficacious formulas to comprehensively nourish, restore, and protect sun-exposed hair. All products are suitable for natural, color-treated and highlighted hair exposed to high-intensity sun and are vegan, paraben-, silicone-, SLS-, and MIT-free. The eco-responsible formulas come in packaging designed with recycled materials and are infused with an enchanting fragrance blend of Ylang-Ylang, Coconut Milk and Hot Sand to transport you to paradise. They’re the perfect hair products for sun exposure! Keep an eye out for this collection and check out more amazing products at www.kloraneusa.com!